Final Fantasy is one of the most beloved video game franchises of all time. With fans around the world, everybody knew that Android versions of Final Fantasy would eventually be released. That day is now – at least for Final Fantasy VI. 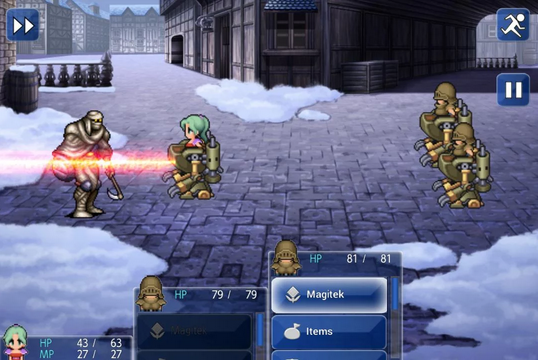 Final Fantasy VI was released today for Android. It costs $16 from the Google Play Store and has already attracted a fair share of positive reviews. -One of the most infamous twists in video game history! This remake was created by Square Enix, so this isn’t some shoddy knockoff: it’s the real thing. Some users have already run into problems early on. Weirdly enough, the biggest problems seem to be with the newest devices. Nexus 5 users, for example, claim that the game doesn’t play well with ART – the data storage system used by KitKat. Other users complain that Final Fantasy VI has problems with Xposed. Xposed is used by rooted Android users to prevent certain apps from noticing that their device is rooted. 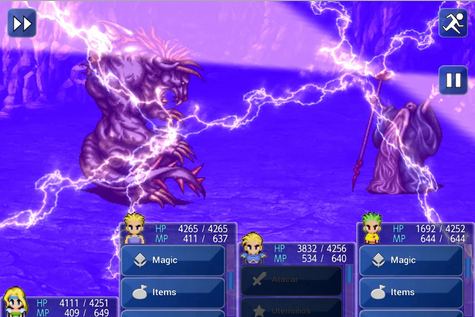 With both ART and Xposed, Final Fantasy VI for Android reportedly crashes. All other devices, however, report smooth and fun gameplay.